Our intrepid reporter, Scupper, Captain of S/V Pointless, is currently on trail of the Polar Pioneer. 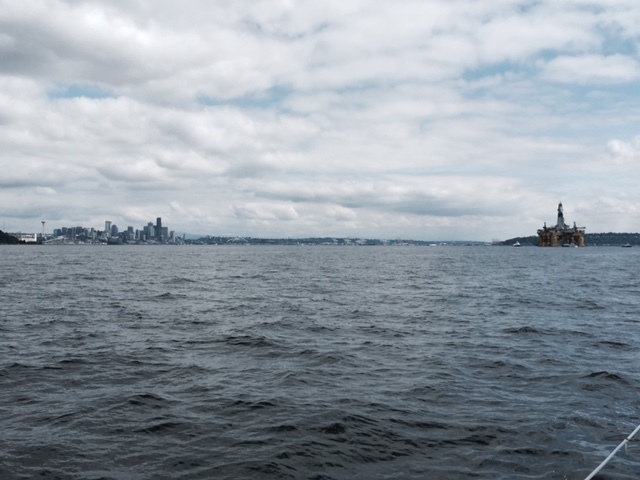 Shell’s controversial oil rig is en route to Terminal 5 in West Seattle. Stay tuned for more pictures from Captain Scupper as I will continue to update this post with photos as I receive them. 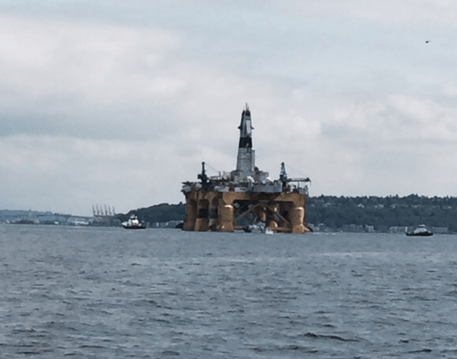 UPDATE 2:28 PM: You can barely see West Seattle in the background as the Polar Pioneer makes her way closer to Terminal 5. 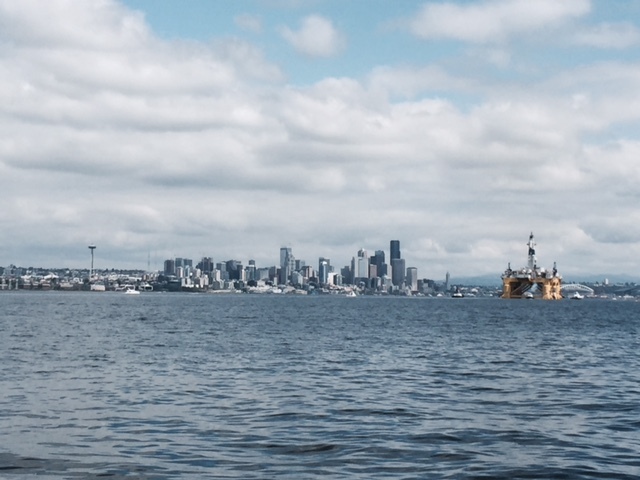 Captain Scupper of S/V Pointless has just sent in this picture of the Polar Pioneer with Seattle in the distance. 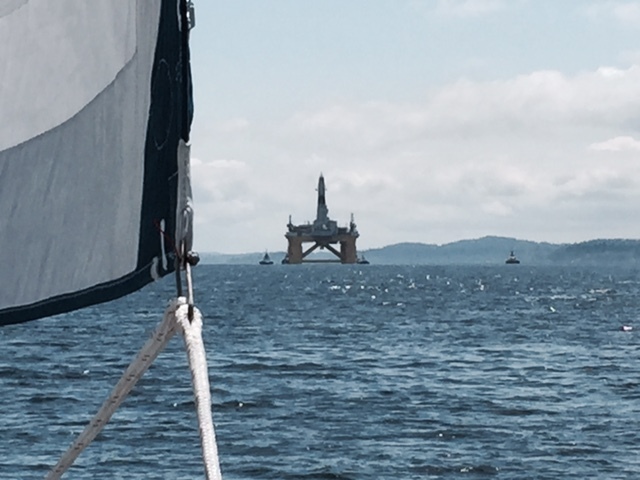 Along with this close up photo taken of the oil rig from the deck of Pointless. Captain Scupper has just sent a bunch more photos… they are all starting to look the same to me. 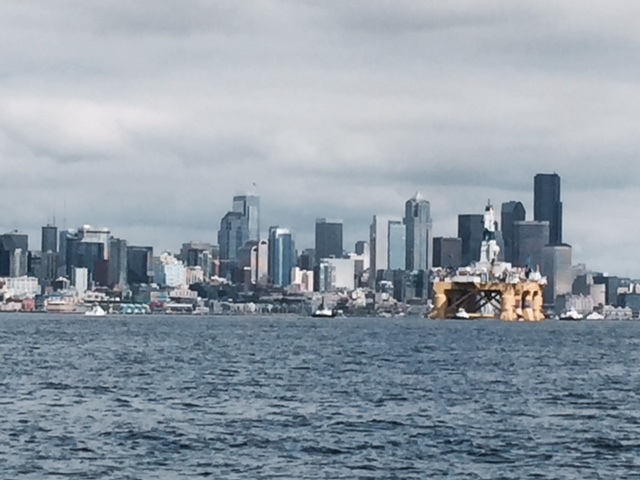 Here’s a nice one of the Polar Pioneer posing in front of the Seattle skyline. 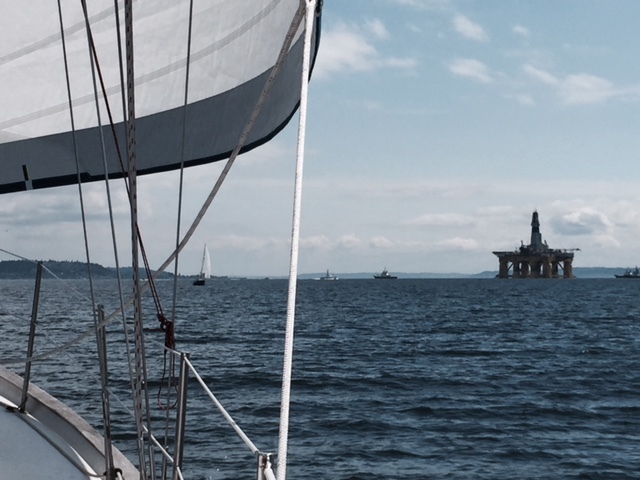 Captain Scupper thinks he heard over the VHF that the Polar Pioneer is going to start drilling at this spot in Elliott Bay!